Natural, farm fresh produce. Grown with love. 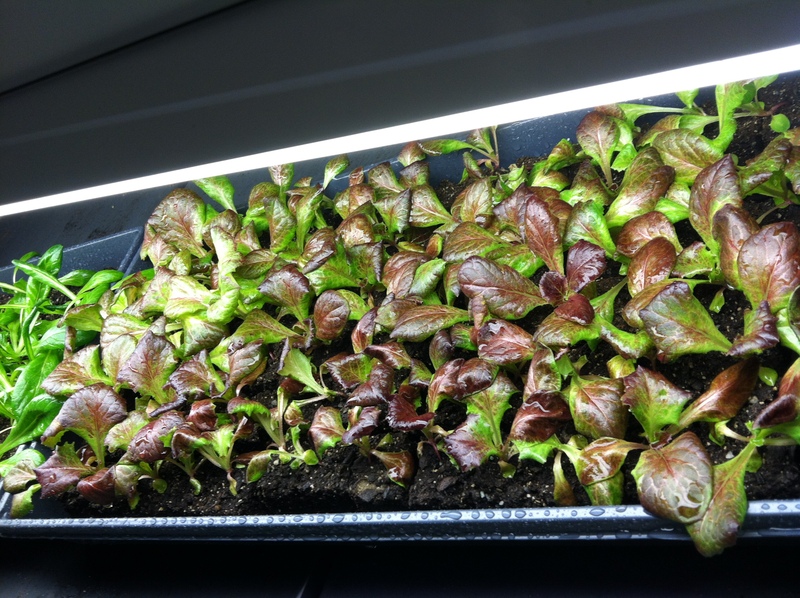 The next batch of lettuce starts are in their hardening off stage….the garden earth is a mass of mud, still, after 2 1/4″ of rain we received from Monday’s storm. That ground is supersaturated! – a sneak preview of our sweet potatoes (hello, Fall)! I think that is it. See you soon! Hi Pulaski friends and neighbors! We are happy to say that we will be back at the Marketplace tomorrow night, from 4-8, as well as next Tuesday to close out the market season. We sure have missed everyone! 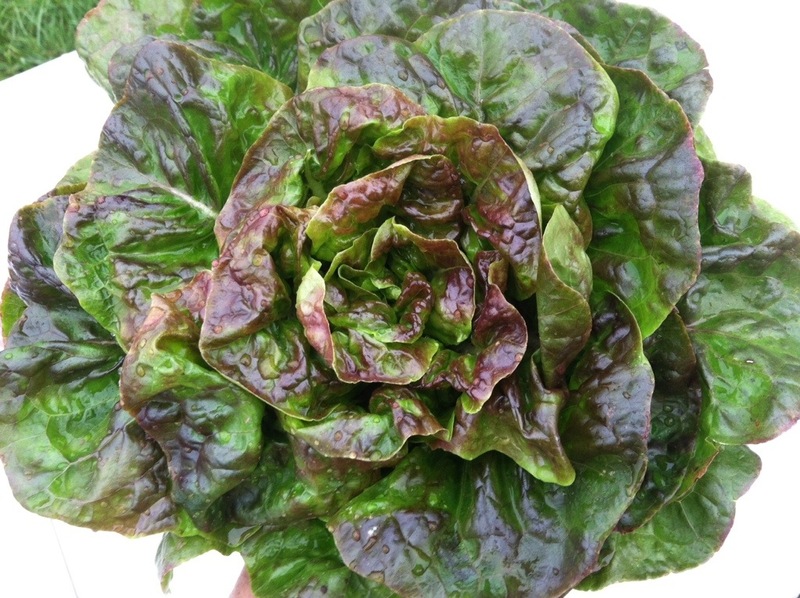 I’ll be coming to town with a variety of lettuces – head and a loose leaf mixture – some bell peppers, hot peppers (we just pickled some yesterday and man, are they great), possibly some beans, carrots, radishes, Swiss chard, and herbs. 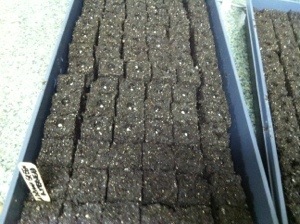 The title of this post reveals how many 1.5 inch soil blocks I got seeded tonight. 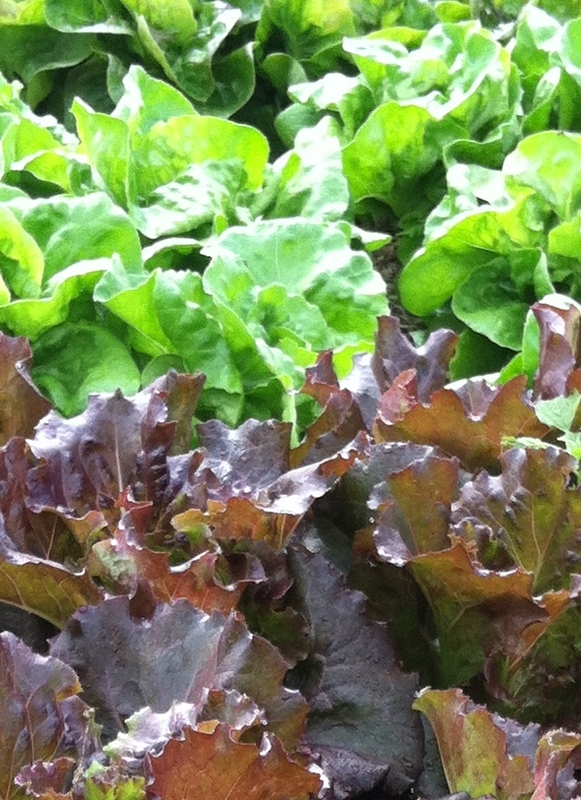 Six flats with 78-84 blocks each of red and green leaf lettuces, butterhead lettuces, summer crisp lettuces and romaine. Lovely. Pelleted seeds are worth the extra dollar! So easy to work with…makes a chore seem much less so. These varieties are not only beautiful out in the field, they are delicious eats, too! 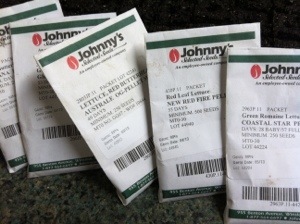 I’ve not been disappointed with any seeds I have gotten from Johnny’s. We are two folks who want to be farmers. In fact, it has been our life-long dream to be so! We love the lifestyle, the outdoors and the gratification we get from working hard. We are doing our best to learn how to improve our soil and maintain our land for the benefit of our crops, our customers, our environment and for ourselves. We fully believe in wholesome, high quality produce and the safe, responsible production of it. It is our passion. Heck, we can't help it - we love to eat deliciousness! Please, come join us on this farm-to-table journey. A brief break after planting yesterday. Taking a break from helping family to do some farm work. Three more rows planted and protected before tomorrow’s storms hit.